Japan’s largest mobile telco NTT Docomo (NYSE:DCM) today announced its new incubation program called ‘Docomo Innovation Village’ (first alluded to back in October) has launched. Its goal will be to intensifying business partnerships with startup companies. In connection with the start of this program, the company is planning to launch a new 10 billion yen fund (approximately $107 million) (called Docomo Innovation Ventures) by receiving all shares of NTT Investment Partners, a fund managament company belonging to NTT group’s stock holding company. The fund will be established in late February. Docomo is a relative late-comer in the Japanese incubation industry, but many entrepreneurs are certainly happy about this announcement because the telecom’s brand will lend an element of trust to any invested company. 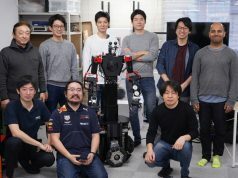 The program starts receiving applications today, and each of five to six qualified startups will be able to receive a grant of 2 million yen, as well as office space for system development and mentoring. 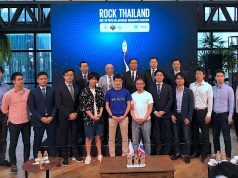 The startups will be asked to finish their development in five months, and then present their results at a release event scheduled for late September. NTT Docomo executive Toshiki Nakayama explained that standout candidates will receive an offering to collaborate, as well as promotional and marketing assistance plus additional investments from the fund. For further details about the program, visit this page . So what should entrepreneurs think of this new program? 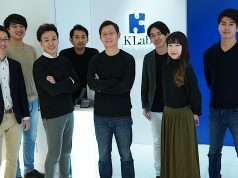 We can help but compare it with KDDI Mugen Labo and KDDI Open Innovation Fund, both operated by Japan’s second largest telco, KDDI, Docomo’s closest competitor. The Docomo program aspires to differentiates itself others by aggressively partnering with other accelerators. It has partnered with 500 Startups, a Silicon Valley-based seed accelerator which has invested in more than 450 startups in the last two years. Japanese startups in its portfolio include online translation service Gengo, online ticketing and event promotion startup PeaTix, and social lending service AQUSH. The Docomo program allows qualified startups to receive mentoring by 500 Startups partners, and also offers multi-faceted support for startups interested in doing business in North America. It was also announced that the program will also include a partnership with B Dash Ventures, a Japanese investment fund focused on startups. But the bottom line is that startups will have to be qualified to receive all these privileges. The program intends to help participating startups go global, but if all are doing domestic-centric business, the partnership with 500starups will not work at all. So it will be interesting to see what kind of programs get accepted for the program, and we look forward to hearing what they roll out post-development in September.